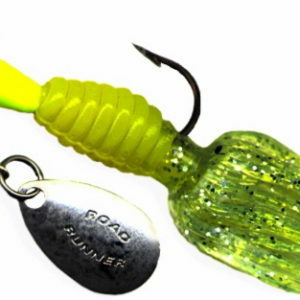 Crappie Thunder® Road Runners designed by Mr. Crappie® (Wally Marshall™) The solid body lasts longer than “tube” bodies while the flared tails slow the descent. 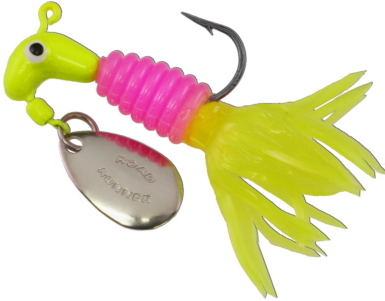 The multiple Crappiemaster Tournament winning design is packed in “Twin Packs” and is available in 1/16th and 1/8th oz. sizes.